Now that Halloween has come and gone, I feel like the holiday season is in full swing. Since I’ll be hosting a bit more than usual at my house this year, I wanted to refresh my decor in my living room and entertaining space for my guests. 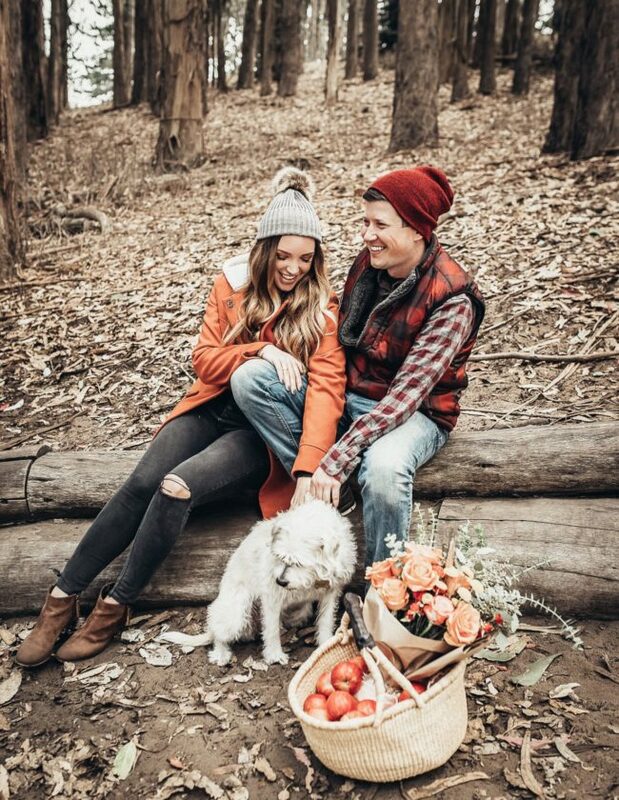 I love the idea of being cozy and comfortable and that is exactly what I kept in mind when updating my space with some fall-feeling accessories. 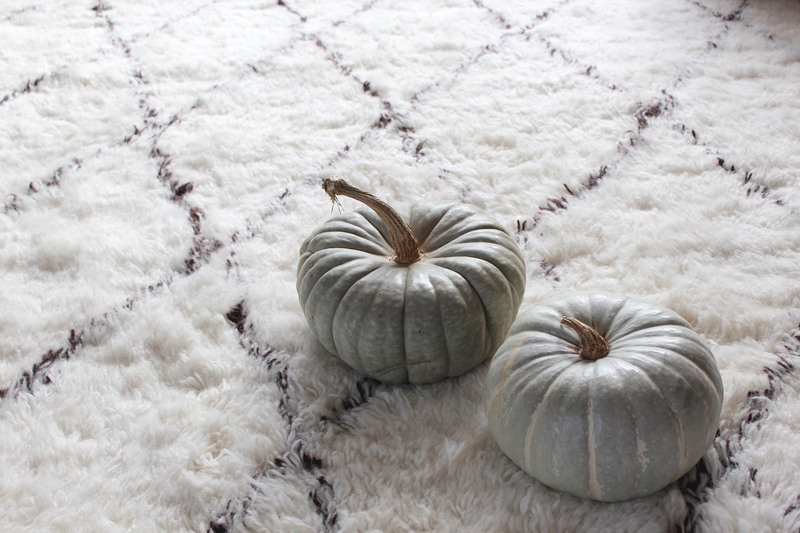 Check out what I used to update my space and make it feel more fall-cozy! 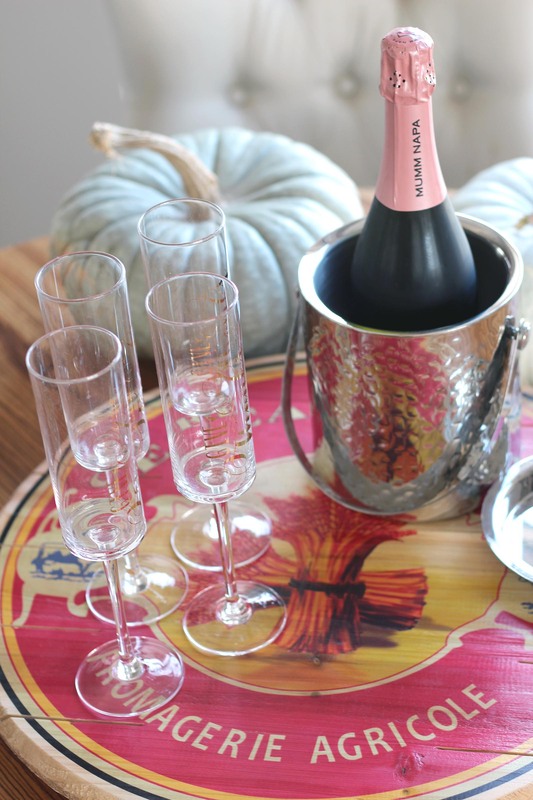 I found these adorable champagne flutes from Cynthia Rowley with gilded ‘give thanks’ messages and I thought they would be perfect for a pop-fizz-clink moment with friends and family. 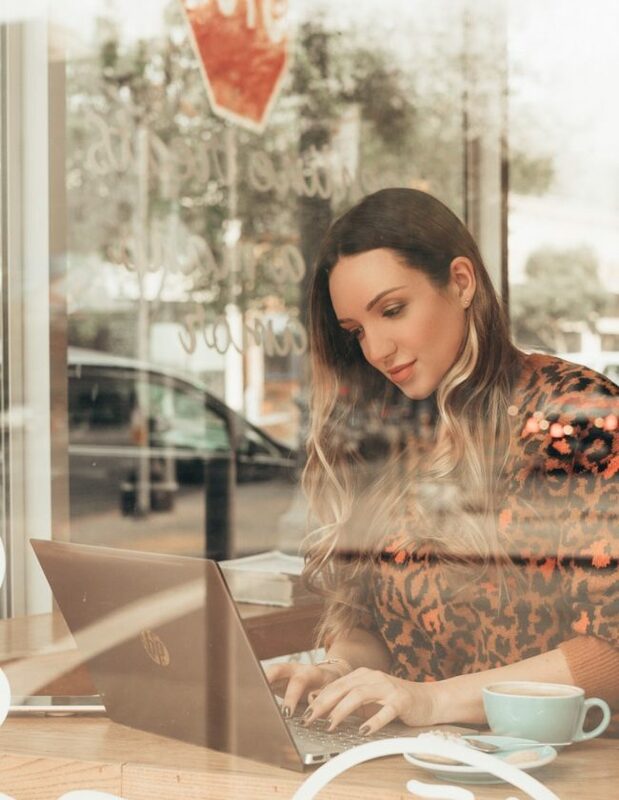 I’m always swapping out various trays on my dining table to hold candles, flowers, and little trinkets and I loved the idea of a vintage printed tray in red and orange hues to really get a fall mood going. 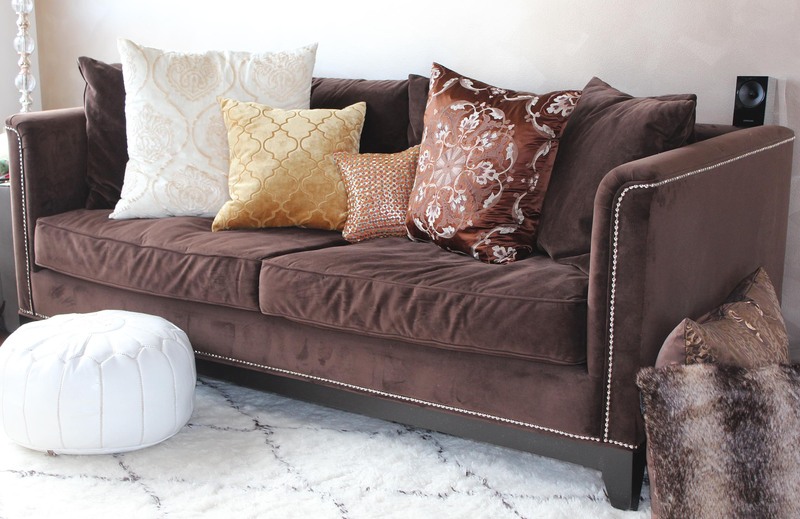 This sofa was one of my first adult purchases out of college and its been a very loved piece in my living room for long talks with good friends, catching up with family, and let’s be honest–late night Netflix binge sessions. 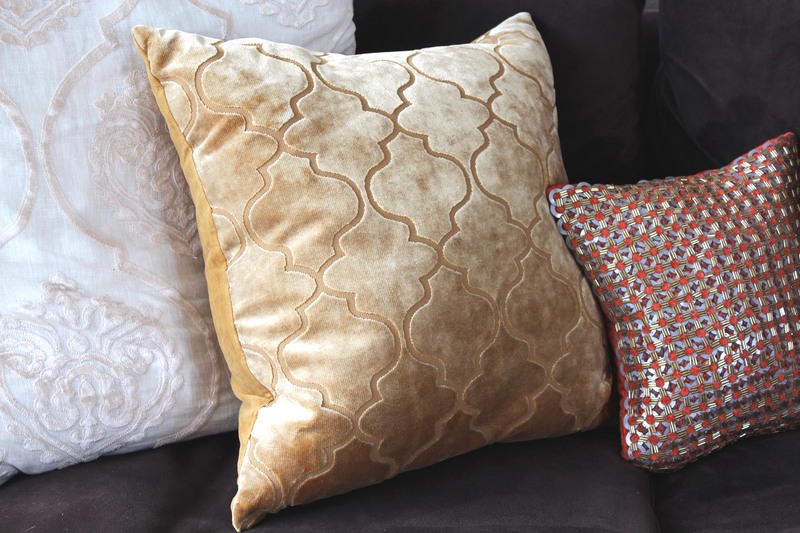 Pillows with an extra touch of detail are a great way to mix up a neutral couch or sofa to give it a seasonal look. I opted for brocade patterns and some metallic beading. When the party winds down, its really nice to kick off your heels and get cozy in the living room. I have been on the hunt for a new living room rug for months now and had some very specific requirements. 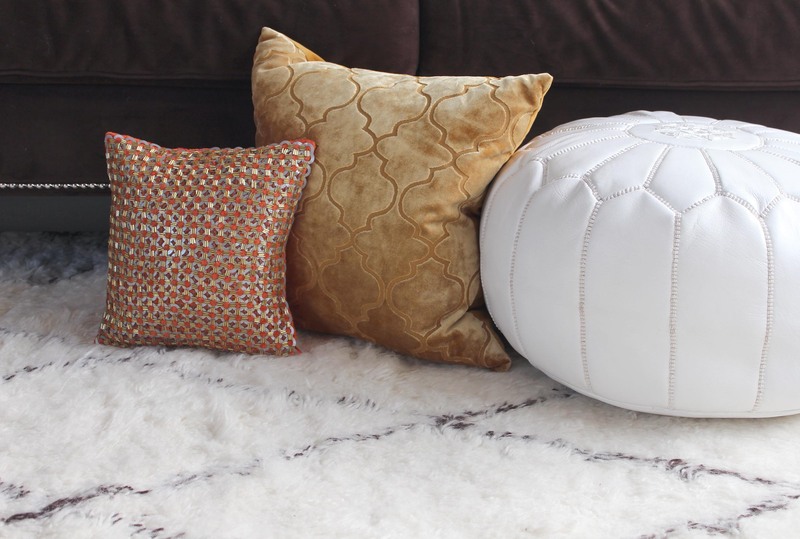 I wanted a neutral enough print to go with my browns / metallics decor color palette, and something soft and comfortable where you would want to curl up on it with a blanket. 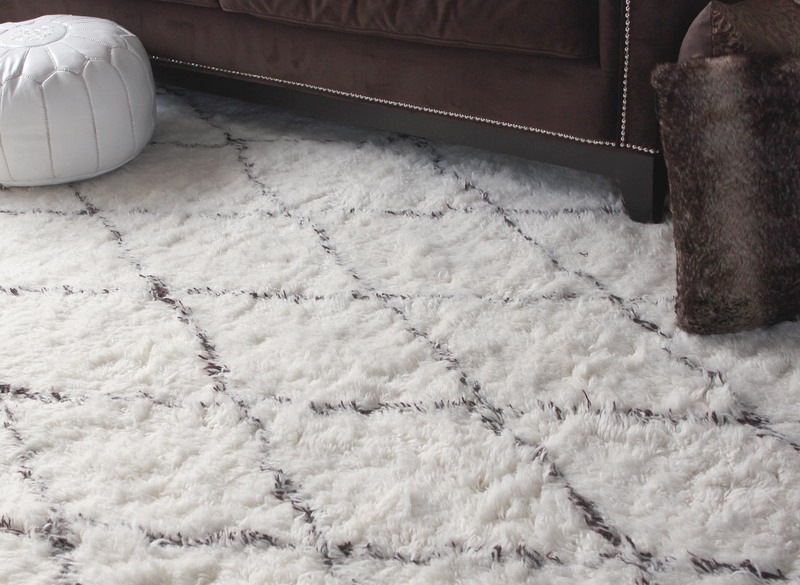 After looking practically everywhere, I found this rug from Rugs USA and knew it was the one! A week later, it arrived in a big roll, I rolled it out onto the hardwood and did a happy dance. It was even better in person than what I imagined from the photos online. I don’t even know if these photos do it justice—the handwoven wool is so fluffy and soft and it’s already puppy approved. 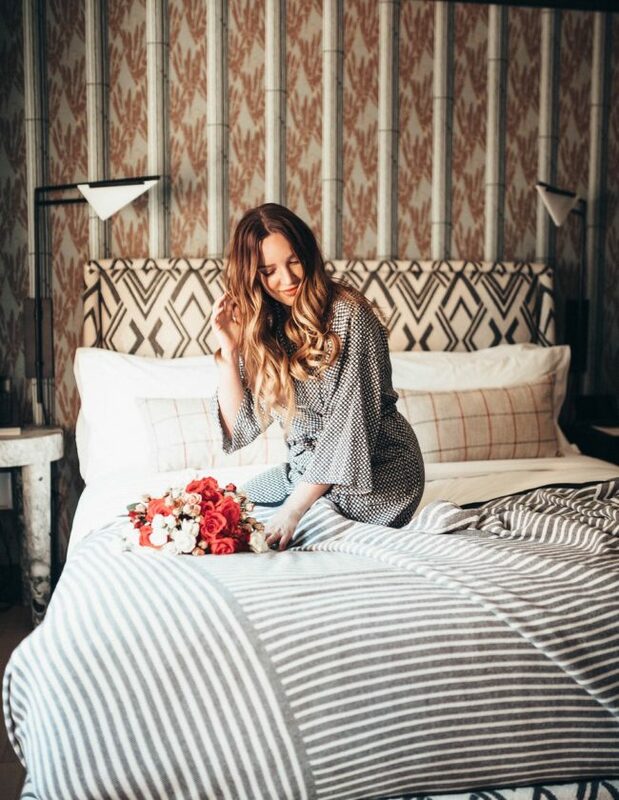 I’ve planned a girls night this weekend with movies, champagne, and girl talk on the fluffy and furry new rug–so I’m excited to start sharing it! 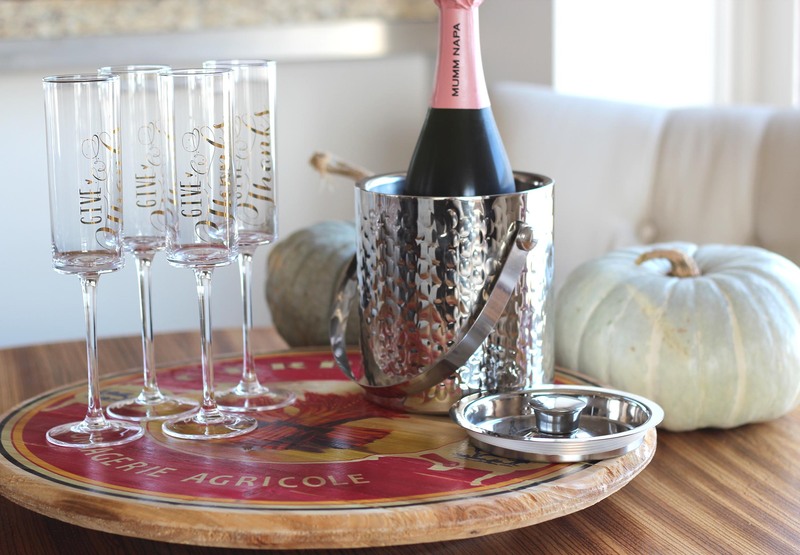 How do you update your space for fall and holiday entertaining? Do you like to add a few candles and pillows to update your home–or do you completely transform your space with themed decor? I would love to hear what you do to make your home special for friends and family!